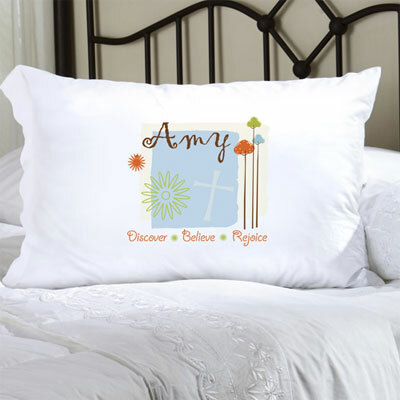 Our Personalized Nature's Song Pillow Cases is a unique way to display your faith. Natural tones and images highlighted by a cross help convey a message of faith in which the recipient will be reminded to "Discover, Believe, Rejoice". 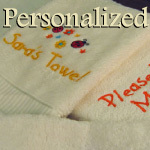 NOTE: "Discover", "Believe", and "Rejoice" are standard to the design .